Problem solving | Can I Bring the Dog? Chico has learned to be a clever little problem solver. He’s been a bit timid at the horse barn lately – not wanting to go out to the field with me to bring in the horse. I’m not sure why, but it’s what we’re working with right now. 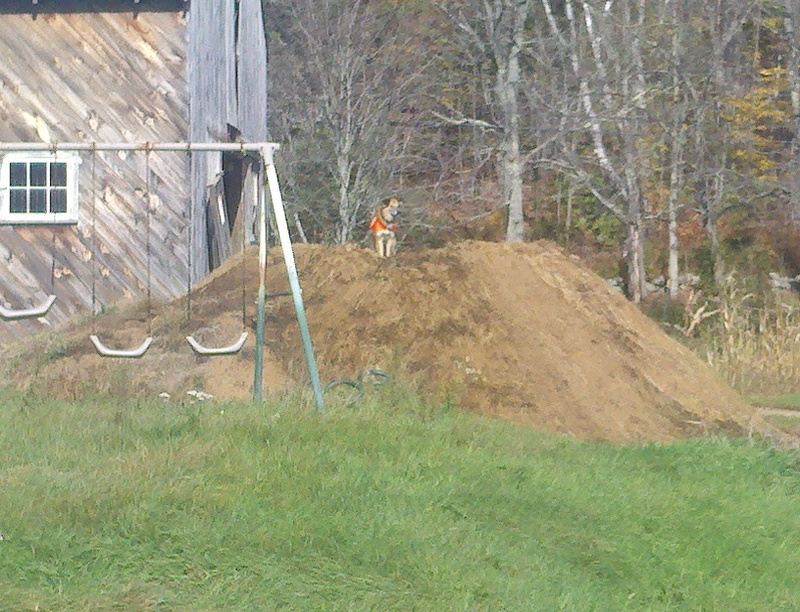 That’s Chico, wearing his hunting season vest, on top of Mount Manure where he can see me even out in the far field. Mount Manure is my name for the pile of horse poo and bedding that accumulates outside the horse barn. A few time a year the manure gets spread on the pastures and hay fields to promote growth.